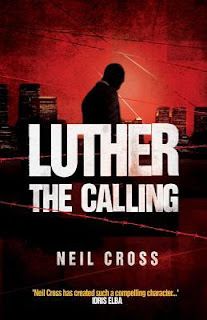 My Series Sunday pick is Luther: The Calling, the prequel to the BBC series by the television show's creator and writer Neil Cross. Detective Chief Inspector (DCI) John Luther is obsessed with solving murders for the Serious Crime Unit in London. He has an intensity that borders bad cop with bipolar disorder tendencies. He acts under extenuating circumstances that the law does not recognize. But whatever Luther does is for a reason only he understands at that moment. Luther: The Calling is told in third person. The view is from the killer, who cut a baby from a mother's womb, and from DCI Luther. 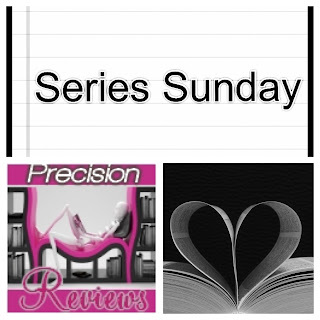 Readers learn how Luther met his wife Zoe and how their relationship fell off track. We also see how Zoe's affair with Mark blossomed. In the British TV crime series, we knew that somewhere along the line, their marriage started drifting. This book tells how it all started. This is the extraordinary case that pushed DCI Luther over the edge, personally and professionally. This prequel also ends EXACTLY where the first TV episode begins. My major gripe with Luther: The Calling is that it reads like a script. For example, "Howie stops off for Luther to pick up a burger. He eats it upside down in waxed paper. He's wiping his mouth on one hand as they walk into the station at the corner of Hobb Lane and Abbadon Street." Might as well add that the camera pans to a street sign. It was very distracting. However, it highlighted small mannerisms of Luther's that we are used to seeing, such as him shoving his hands deep in his coat pockets to prevent himself from touching things in a crime scene. The author states that "Idris made Luther." Tis is true. I imagined Idris Elba as I read page after page. But it didn't help that the "big man with a big walk" was described in screenplay fashion. This is one of the few examples where I prefer the TV adaptation to the crime novel. It's much more entertaining on screen. Sorry, Neil Cross. I rather watch what you've written than read what you've written. Check out the Luther Series 3 Announcement video below. I have no doubt it is worth the wait.